This statistic shows the number of Facebook users in South Korea from 2015 to 2022. 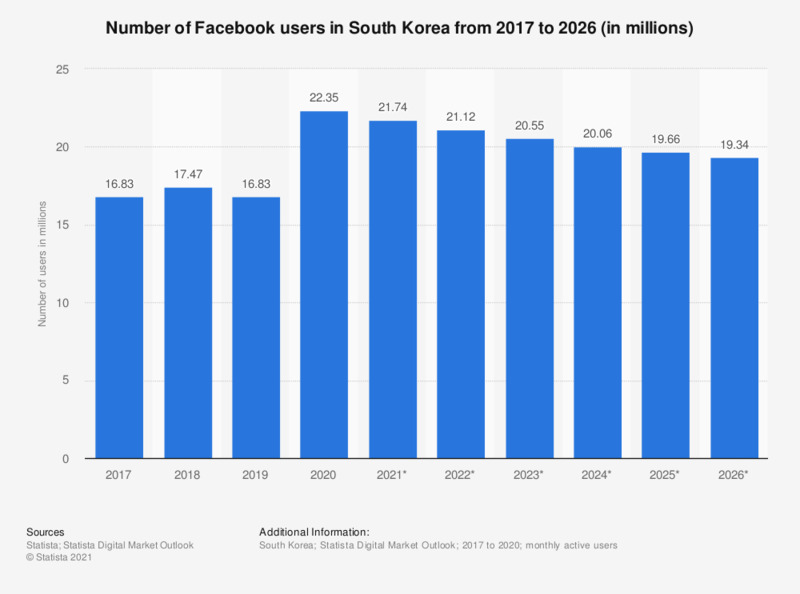 In 2019, the number of Facebook users in South Korea is expected to reach 15.13 million, up from 14.5 million in 2017. Statistics on "Social media usage in South Korea"